a cool, measured detachment. On the moon there was neither air nor wind. Its vacuum was perfect for preserving memories unscathed. No one could unlock the heart of the moon. “This is no honky-tonk parade. 1Q84 is the real world, where a cut draws real blood, where pain is real pain and fear is real fear. 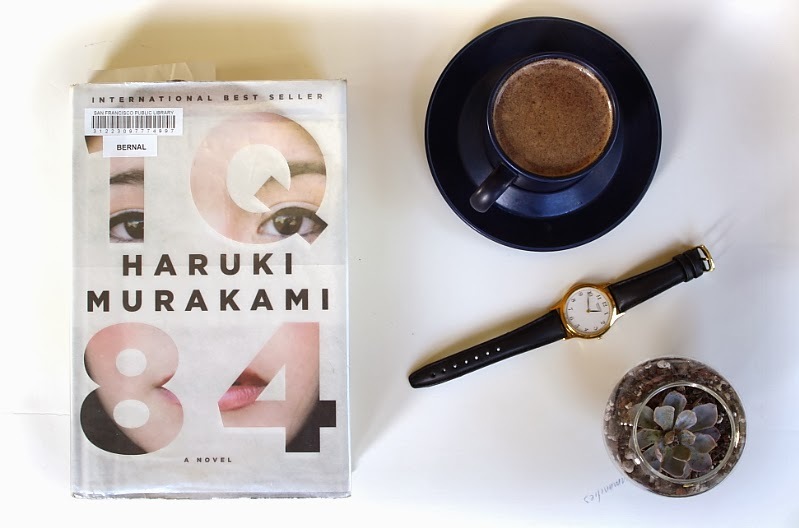 I think finishing 1Q84 alone is something to celebrate, because getting through part III was not a walk in the park. A lot of people have said it - this book is redundant, and unnecessarily long to the point of degradation and I agree. But I also found certain sentences to be as fantastical as always, and his words strikingly eerie and magical at once, if not over-thought by the reader. 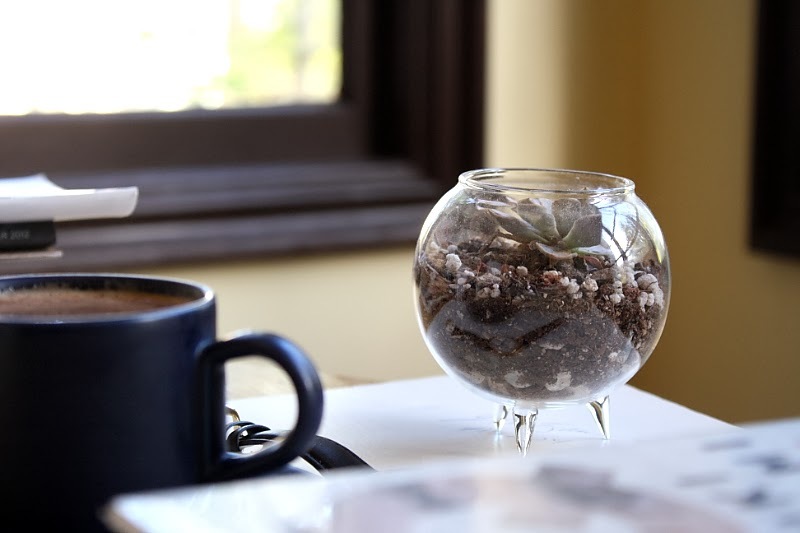 Took these photos the morning before I left home for LA, with a few favorite things (peppermint hot cocoa, my mom's refurbished wrist watch, and our new succulent holder from Paxton's Gate). These objects can all be seen as symbols from 1Q84... but we won't go there.